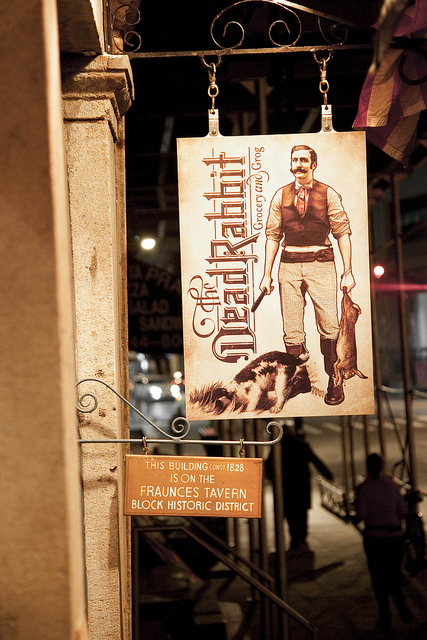 As a history buff — not only of 19th century America and the Civil War, but also of libations — I was immediately intrigued by a preview invitation for The Dead Rabbit, a highly anticipated new drinking establishment on Water Street in the Financial District, which has been on the receiving end of glowing pre-opening press. After trekking to Manhattan’s southern extremity for a sneak peek (and taste), just before New Year’s, I predict that this will be an evergreen hotspot…be sure to add it to your list of must-visit cocktail parlors. That’s right, I said “parlor”. Named after one of New York’s Irish street gangs from the 1800s — think Martin Scorsese’s “Gangs of New York” — The Dead Rabbit is the brainchild and dream-come-true of Belfast barmen Sean Muldoon and Jack McGarry, the team behind The Merchant Hotel Bar in Belfast, which won “World’s Best Hotel Bar” (2009) and “World’s Best Cocktail Bar” (2010) at Tales of the Cocktail. At the Rabbit, they’ve blended the best of 19th century New York, a Golden Age of libation discovery, with present day Manhattan, an epicenter of the ongoing cocktail culture renaissance. Three years in the making, the four-story landmark building has a ground floor “standing” taproom, an informal bar setting for craft beers, bottled punch and fine whiskeys. Like back in the day, when dock workers would down a quick one before, during or after a shift. Upstairs, the “parlor” offers an elegant, burnished-wood niche for communal punches and 72 meticulously researched, historically accurate drinks from the 19th century — flips, slings, toddies, juleps and, of course, cocktails. The bar menu is a piece of literature in its own right. 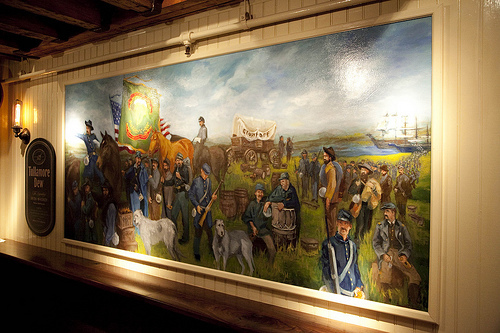 And, to top it off, there’s a striking Civil War decorative motif throughout the bar. 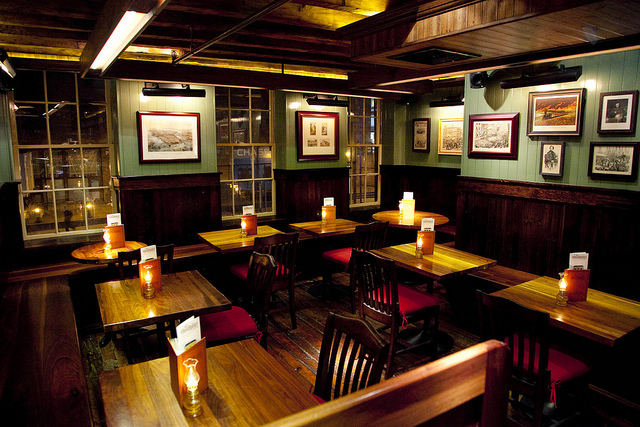 With its period detail and comfortable ambiance, it looks and feels like it’s been there forever. This is no mean feat, considering that Hurricane Sandy sent several feet of New York harbor into the premises (remember the Water Street location), delaying the opening from January 2013 to February (the official opening is now February 13th). 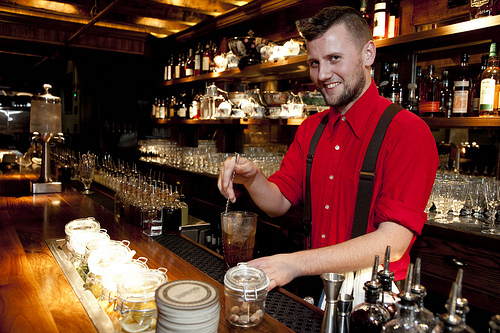 But for all The Dead Rabbit’s aesthetic charms, the real attraction is the bar talent, in particular Jack McGarry, the forensic cocktail researcher and bar chef extraordinaire. A study in perpetual, ambidextrous motion, Jack, a 23 year-old Wunderkind cocktailier, has moves the masters come to watch. A Mozart behind the stick, his concoctions are not only authentic re-creations, but also beautifully balanced — and deadly drinkable. 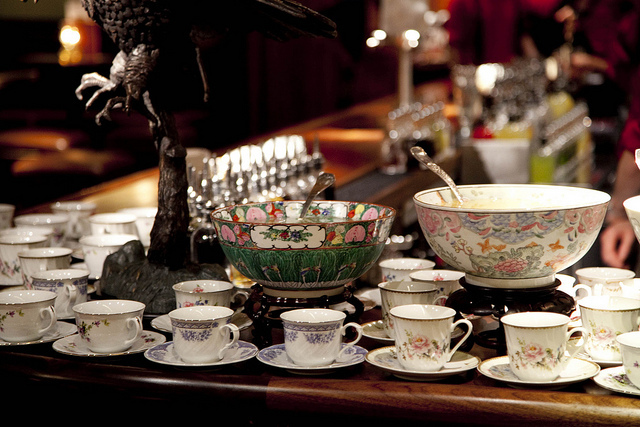 At the preview, a fine rum punch — Admiral Vernon’s Grog —a blend of five different rums, lime sherbet and lime juice, one that Admiral Farragut himself would have enjoyed, was on offer at the standing bar, among other classic highballs. Upstairs in the parlor, in addition to some tasty communal punches, Jack was showcasing his mixing skills with a limited sample of the copious offerings on the drinks menu. My hands-down favorite, and certainly in my top ten cocktails of all time, was the Eau de Thé, which Jack has adapted from William Terrington’s “Cooling Cups and Dainty Drinks” (1869). Composed of Rémy Martin 1738 Cognac, Chartreuse Verte, eau de thé syrup, Dead Rabbit Orinoco Bitters, orange flower water and Piper Heidsieck Cuvee Brut Champagne, the Eau de Thé is a superb, savory Champagne cocktail. Usually, the only reason to be on Water Street (unless you work on Wall Street) would be to take a visiting house guest on the Staten Island Ferry for a free, no-line Lady Liberty close-up. 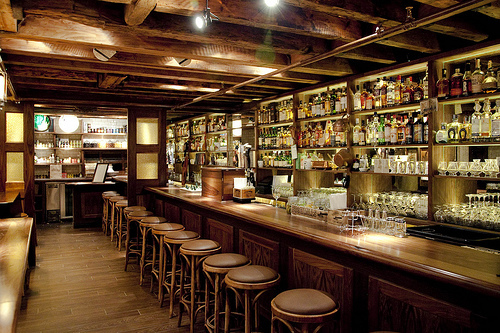 Now, The Dead Rabbit is reason enough to head to Manhattan’s southern tip. This entry was posted in New York City, Spirits + Cocktails and tagged Hana Lee Communications, Jack Mc Garry, New York City Cocktail bars, Sean Muldoon, The Dead Rabbit. Bookmark the permalink. After seeing this on your blog, I told my son about it. He tried the Dead Rabbit and loved it!